Essen fair 2002, after the show(Doris & Frank), Tuesday afternoon, the beginning. 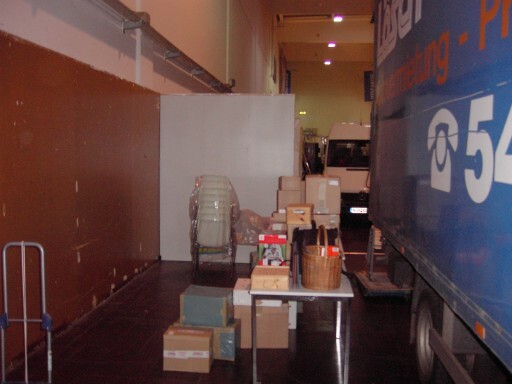 Home > Events > Event Archive > Essen fair 2002, after the show > Tuesday afternoon, the beginning. Covering the walls.Ottmar and Ralf at work.